2018 Update: We still stand by this advice on how to fit lunch workouts into your workday, but you may also want to check out our post about how to stay fit in winter. Lunch workouts: are you able to fit them into your workday? What are your best tips and tricks for exercising during your lunch break? 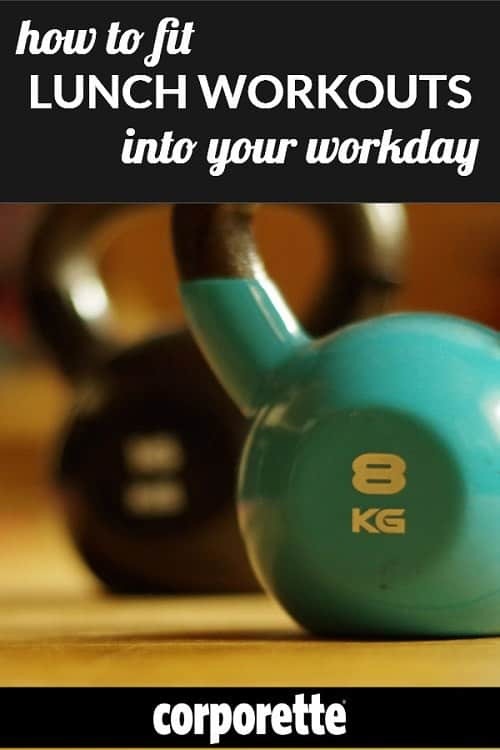 I’ve blogged before about some of the quickest workouts you can do at work, as well as some of the best workout DVDs you can even do in an office — but we haven’t talked about this in far too long, so let’s discuss. Lift weights. Cardio is great for getting out anxiety, but strength training plays an important part in burning calories, setting your metabolism, and keeping your body and bones strong — and a plus for weights is that you don’t necessarily sweat a ton while doing them, making for an ideal midday workout. Another option if weights aren’t your thing: look for a studio class like barre, yoga (not bikram!) or Pilates. If you really want your body clean, but are OK with dry shampoo on your hair: wear a shower cap so your hair stays dry in the shower. If you’re okay with just wiping down your body with baby wipes (or post-workout wipes like these) but want your face clean: wash your face. If you have bangs (or other parts of your hair) that look horrible after the gym, consider just washing them, either in the sink or shower, and leaving the rest of your hair tucked into a shower cap. Move your “lunch” break. When I worked in an office, I often worked until 8 PM or even 10 PM. Work permitting, I found that a great time to go to the gym was 4:00 or later. You can come back to the office just as your support staff is leaving and meetings are winding down, which means you can switch from weekday clothes to to evening/weekend workwear, i.e., comfy clothes. Know your office, but I think wet hair in a bun or clip would be more accepted at most offices after 5PM than right after lunch. Keep it simple. If you’re trying to move more or start a fitness regimen, remember that exercising doesn’t always have to mean a SoulCycle class or CrossFit session — going for a 20-minute walk at lunch or a coffee break is a great way to get started with lunch workouts. Ladies, how do you fit exercise into your workday? Are you a fan of workouts in the mornings, evenings, or afternoons? How do you commit to lunch workouts? Original picture (2016). Current images (2018) via Stencil. I’m evaluating how I’m spending my free time and thinking about hobbies I may want to include. What are your hobbies, how long have you been participating in them and what brings you joy/happiness from them? I’ve been horseback riding for over 20 years. What I love best about it is the connection with my horse. I’ve been running for over 15 years. What I like best about it is the sense of accomplishment when I’m done, and also I’ve seen a lot of pretty or interesting places through running. Some days I really don’t want to run but usually once I get started it’s not so bad and then by the end I’m proud of myself for getting it done. I’ve been doing yoga for over 15 years. I like the sense of calm and focus I get from it. Not quite a hobby but I also really enjoy listening to music, it helps me relax. Riding sounds nice and I was a girl who had a horse phase (and my daughters seem to be having one). Isn’t it terribly expensive (like more expensive than golf or skiing)? VERY expensive, and unlike golf or skiiing it’s year round. I was seriously into riding competitively when I was younger. I miss horses but there’s no way I could afford to get back into it as an adult! I don’t golf so I can’t really compare. Skiing for me is four hours away so I don’t do it regularly, plus it’s seasonal anyways. Not sure where you live, but in my area riding lessons generally range $50-80. I own a horse, which yes is expensive but worth it for me. Cheaper than therapy. :p I don’t show on the top circuits, which is a whole different stratosphere of expensive. My parents were not wealthy but solid middle class, and they said paying for my riding was worth it because it taught me responsibility and kept me out of trouble. Horses are so SO SO expensive. I saw your golf and skiing comparisons and laughed out loud in my office, because they’re not even comparable. You have all of the start-up costs of expensive gear and lessons, AND THEN you add a 700-1,200lb independent life form that needs a place to live, veterinary care, food, clothing, often training, its own special vehicles if you plan to take it anywhere, etc. I don’t have a horse right now and can only ride irregularly because it’s not possible financially. And not “maybe if I cut out cable or cut back on Starbucks or shopping” impossible, “I wouldn’t be able to pay my rent” impossible. But with that said…I am so thankful every day of my life that I had horses when I was growing up. They were my friends, therapists, and stress outlets through some hard times in my life. My pony didn’t care if I got a bad grade on a science project, and my friends from riding didn’t care that I was having a hard time making friends at school in seventh grade. I learned so many valuable lessons from riding and being involved with horses: hard work, the value and dignity of manual labor, persistence, leadership, strong mindedness, trust, empathy, follow-through. It wasn’t always easy for my parents financially or logistically, but I’m so grateful that they made it happen. I plan to have a horse again at some point in the next 10 years or so, and feel strongly that my future children have the opportunity to ride, if they’re interested. I would encourage you to at least explore the possibility of lessons for your daughters, if they want them. You don’t have to sign up for the whole deal at the start–you should be able to find hour-long group or private lessons at a local barn for $50-175 per kid, depending on location, discipline, and fanciness. There are also a lot of horsey summer camps if that’s something you’d be doing anyway. It’s *usually* hella expensive, but it doesn’t necessarily have to be! I may have a unicorn experience, but I was able to find a barn close to my metro area with nice instructors offering group lessons at very reasonable prices on a very flexible schedule. So rather than having to commit to a 3x week, no cancelling lesson plan, I can text my instructor on Thursday and say oh, hey, planning on going to a festival on Saturday or having to work so can I ride on Sunday? That said, I’m a beginner in this discipline, I do not show (yet!) or own/lease my own horse, and have no idea what I’ll do if I ever decide to try to get to that point. So my requirements for lessons are a bit more flexible- no need to stick me on a super fancy, talented horse. I’m a biglaw associate and right now, I consider once a week riding to be a total gift/luxury that I do purely for that joy it brings. It’s euphoric. Let me tell you: that noxious email the client sent you on Friday goes completely out of your head when you’re riding! Yeah, major +1 here. You can absolutely spend much less money than many people talk about to ride regularly. You don’t HAVE to own a horse or even lease one by a long shot, nor do you need to compete or travel to do so. Once you take those 2 factors out, it’s very manageable – so much of what you need can be bought on sale or used or borrowed. Yes, riding’s expensive, but if you don’t own your own horse and find the right place to ride, it doesn’t have to be *that* expensive (also depends a lot on where you live). I pay $180 for a package of 5 45-minute lessons on my instructor’s horses. I try to ride every weekend, but I travel a lot for work and usually end up missing at least one weekend a month. I’ve been riding since middle school, but I never did fancy shows and the only horse that I ever had wasn’t even really mine–she was a free lease. So the point is there are varying levels of time and money commitments. I’ve found the key as an adult rider without a horse is to find a stable/trainer who understands that working adults need flexible schedules and may not be able to commit to the same lesson time each week like kids can. That can be tough to find. Although I should add that even if you live in a city, it may be cheaper than you think. When I lived in NYC, I rode at a barn in Queens for surprisingly not that much (I don’t remember, but I think it was maybe $45 per lesson?). It just took me an hour to get to by subway/walking because I didn’t have a car. Also a runner. I’ve been running for about seven years. I’ve made some great friends through my running club, plus racing gives me a huge sense of accomplishment! I love training for a specific event, especially if I can train with my running club. I also practice yoga and do Camp Gladiator, so maybe fitness in general is a hobby of mine? Running is always my go-to, though. I love to read! I love to get caught up in a good story or learn about something new. I’ve been reading, well, as long as I could but about 1.5 years ago I joined a book club. We alternate who picks the book (or books) that month and it’s fun to read something that I wouldn’t have picked on my own! Mine are knitting, reading, and running (or general fitness) (and I guess cooking). Knitting is essential to my self esteem. I can produce something visible and tangible, which often feels impossible in my work life. It’s so therapeutic. It also lets me concentrate on tv and audiobooks! Reading allows me to escape into other worlds. I have no love life but can live vicariously through Claire in Outlander, for example. I do desk work but can read Code Name Verity and think about how I’d feel under that kind of pressure. I don’t consider running and fitness a hobby so much as an obligation that I happen to like, like cooking. Also a knitter. I knit myself to sleep last night (not on purpose — need trashier / scarier TV I guess). I love knitting too, as well as crochet. It is very fun and creative, and once you get the hang of it, super relaxing. I might be Susie with different time lines! – Riding horses: – 30 years. I must admit that it is hard to put my finger on exactly what it is that I get from it, but I can’t imagine not having horses in my life. I love my barn family, I get a sense of accomplishment from jumping a good course or having a good ride, my horse is fun to be around and his personality is so pleasant and nice that it’s calming to spend time with him on the ground, and I like being out in nature in rural areas. – Running: just over a year. It’s a huge stress reliever for me and I also feel a sense of accomplishment when I finish a race, or run a new trail, or a new distance. Again, I also love being out in nature and am almost exclusively a trail/mtn runner now. – Painting: just over a month. My therapist suggested I try to tap into my creative side and so I took a sip and paint class, then took another, then bought my own paint, brushes, and canvasses and have been learning painting techniques on YouTube at home. It’s also calming and it’s cool to be able to create art for my friends and family! I’ve love to get back into photography too, but that is a little bit more money than I want to spend right now. – Yoga: 2-3 months. Again at the suggestion of my therapist. It’s relaxing and calming and I dig using my muscles in ways that running and weight lifting don’. – Volunteering: many, many years. Currently, I foster cats through a local rescue and I teach a seminar at the half-way house for women who are re-entering the community from prison. The half-way house is a couple blocks away from my own house, so I love that I am giving back right in my own community. The women in the house teach me a lot about myself, recovery, and starting over. I suppose volunteering is not really a hobby, but it is something I do with my free time. I also love to read, as others up-thread have mentioned! Geez…you’re all so accomplished. Am I the only one who just goes home and stares at Netflix? Nope. If I manage to get home and cook dinner before sitting on the couch and zoning out in front of Netflix, it’s a productive evening. NOPE SAME HERE. Especially working 40-60 hours a day in a cold busy office, my nights right now look like: a hot bath, cooking & eating dinner with DH and watching netflix with a cup of tea. Then bed and back at it at 6am. Just don’t have the energy or bandwith for pretending I’m super social or crafty or athletic during the week. Same here, no time for a hobby in my adult . If I can make it to workout 3 times a week and cook once a weekend, that is very productive. My primary hobby is photography, especially landscape photography. I picked up photography with a point-and-shoot camera in middle school, but have only gotten into fancier photography with a DSLR in the last four years. I work in a science field, so photography is my creative outlet. Swing dancing! Been doing it for just over two years; mostly lindy hop, lots of balboa as well and some collegiate shag. I love the music, I love getting to go out wearing vintage clothing and dance with my friends. The dancing is so much fun and the people are awesome, and my city has such a great scene I could dance every night if I wanted to. wtf happened to this board. Did it occur to you all of us busy people with hobbies aren’t devoting endless hours to them, or that sometimes (lots of times) they take a back seat to work, too? Or were you just too eager to be rude? Maybe devote some of all that noxious energy you have toward figuring out how you can spend your time more wisely- somehow I managed to bill 210 hours last month and still found time to read two books, go to yoga, ride horses, see friends, go on dates. Sorry, but that deserves an equally rude response. You probably are “too busy” because you watch TV and read dumb websites. Most of mine involve getting outside or food. I’ve been surfing, running, hiking, playing basketball, and swimming since I was either a little girl or pre-teen. I started weightlifting in high school. I picked up cycling about 5 years ago. I get a lot of joy out of fitness and getting outside. I do a lot of these things with my husband and sons, so that is a huge plus too. I got really into cooking and gardening as a college student. I expanded my garden recently from just herbs to vegetables and also have some fruit trees (lemon, lime, orange, guava, plum) in large pots. I really enjoy the process of cooking, and like making meals for myself and my family full of wholesome ingredients. One of my sons also likes to cook, so we do this together. Powerlifting. It’s only as time consuming as you want it to be (45 mins two days per week versus 2 hours five days per week) and it’s the greatest source of self-confidence that I’ve found. It’s hard to let little things at work bother you when you pulled 300 pounds off the floor the night before. My other thing is teaching yoga on a volunteer basis through an organization called Kula for Karma. They go to nursing homes/juvenile detention centers/rehabs/VA hospitals/prisons/etc. and teach free yoga classes to populations that benefit greatly from the mental and physical aspects of a yoga practice. You need to be at least a 200 hour RYT, so maybe yoga teacher training is another idea. I’ve had different hobbies at different times in my adulthood. My current fave is weightlifting. Years ago, I was very into Tae Kwon Do–earned my black belt, taught, the whole deal. Both are great stress releasers and lend themselves well to setting and exceeding goals. When my kids were very small and free time was very limited, I took up sewing. I haven’t done it in a year, but it was fun to make kid clothes, Halloween costumes, etc., and was a good hobby for doing something just a little bit at a time. So does it get easier to have hobbies as kids get older? Because with twin 2 yr olds, I can’t even imagine doing anything past getting everyone to bed, getting dinner for the adults on the table, and then folding laundry while watching an episode of Narcos. But I was really into karate for awhile, and have always been in choirs, also used to run halfs and 10 milers. It would be nice if at least 1/4 of that could happen again, ever. You are heading towards the upswing as far as time is concerned. Between ages 4 and 14 were the ‘sweet spot’ for our family. Now, the boys are in high school, both play sports, both are in driver’s ed, catechism class, etc. and between shuttling them around and attending various functions for them, my free time is almost gone. However, in a few months when they have their licenses, my taxi days will be over. They grow up too fast! I have a brand new gym in my building (free to me) and have been trying to find time to workout. I’ve had huge success in the past working out during the day (usually lifting weights or a yoga/pilates class) so I’m trying to get back into that groove. What works best for me is weights/stretching not cardio (though I have done it) and clean up with baby wipes and face wipes, touch up makeup (minimal) and in and out in an hour. Also works best to go at 2 or 3 and avoid the lunch hour rush. What I need to do now is to get a pair of shoes to leave at the office and find some public-appropriate workout gear to replace my current at-home ensemble that has seen better days. I am reluctant to use the gym at work due to the fact that I am not interested in my collegues (and I work in an industry and company that is 80% male) seeing me in my sweaty gym clothes and perhaps having lewd comments. Luckily, there is a gym in my apartment building!! The logistics of lunch workouts never worked for me. Getting to the gym, out of our work clothes, storing them wrinkle-free (I´m looking at you, button-down shirts), getting dressed again, re-applying make-up, still having to eat or at least have a protein shake etc. I´ve had far better luck in squeezing in a quick 30-minute run before work or a round at the gym after work. 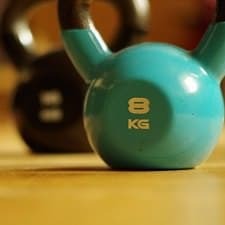 Slightly off-topic: Any recs for working out while pregnant? I used to run 10 k at least once a week and lifted weights at least twice a week. Played tennis/ hiked/ cycled/ swam on the weekends. Wasn´t allowed to exercise at all from week 10 to 22. I´m now at the first week back to exercising and feel like a total slug (and look like a manatee in gym clothes…). 15 minutes on the elliptical are currently enough to kill me. Any advise on how to get back on the horse and stay fit, apart from swimming (which I hate in the winter and is a pain logistically) and taking it slowly? I work out at home but frequently toy with the idea of joining a gym. I get paid hourly though so it makes more sense to me to either go on my way to or from work. Plus I get super tomato red when I work out and it takes awhile to go away. So I guess I’ll stick with my home workouts after work. Same here…. it ends up taking close to two hours to do the workout, then re-apply makeup, shower, etc and make it back in traffic back to work. Nights or weekends work better for me. I’ll put in a plug for two DVDs that I liked for pregnancy – Body By Trimester and Sara Haley’s Expecting More. I was a very avid gym-goer pre-pregnancy, and I found both of these challenging enough but not too challenging, and they offer modifications for most exercises to make them harder or easier so you can customize. You need light hand weights (I’d recommend 5 lbs) for both. I did not make it to the third trimester video for Body By Trimester, so I can’t speak to that, but I liked those for easy weight training combined with some light cardio. The Expecting More DVDs, I found the weight ones too easy for early on, but I think they would have been great for third trimester had I made it that far. I will say that Sara Haley is quite annoying, but if you can get past that, her aerobics workout in particular was kind of fun. The only exercise I could manage while pregnant and suffering from 9 months of hyperemesis was to walk 2-3 miles a day if the weather was not too hot. Ugh, that’s the worst. I was also grounded (put on “pelvic rest”) from about 8-27 weeks because of previous miscarriage issues. When I tried to get back to something during pregnancy, it just didn’t really work. I found that the best thing for me was just walking and yoga. I think I would have liked swimming, but I never found time to actually make it to the pool. The good news is that I did get back to my pre-baby self pretty quickly after delivering. I was back running 6-8 weeks after delivery and the aerobic capacity came back relatively quickly. I think just be easy on yourself for the next few weeks/months. I know you said no pool, but lap swimming is my absolute favorite pregnancy workout because it doesn’t FEEL as exhausting as running/elliptical since you actually get a break from the pregnancy weight, so you can work harder and longer than with a land-based workout. Give it another chance, esp if you start having swelling in the last month or two. I also highly recommend prenatal yoga, but more because it’s relaxing than because you’ll leave feeling like you worked off the ice cream you couldn’t resist (or maybe that’s just me). My favorite pregnancy workout DVDs are a Summer Sanders one and “The Perfect Pregnancy Workout:Strength” which is actually a decent workout, pregnant or not. In re: working out at lunch. I try to get in a 3 mile run two or three times a week in the gym in our building. There is a giant fan that blows right on the treadmills, so I do not get too sweaty. I do hop in the shower very quickly afterwards, but I do not wash my hair. I have a travel hairdryer to refresh my hair with and I bring my make-up to touch up. I usually wipe my face down with a baby wipe, except for my eye makeup and reapply. It’s extremely helpful that I work in the building so it takes me two minutes to get to it from my desk. I am able to get down and back in an hour. We do have employees who come from other buildings and even other campuses to use the gym at lunch though! I lift at lunch and can get by with a 90 second body-only shower. I make sure to keep my hair back and off my face to keep it from getting too sweaty. I have dry shampoo if I need it, but usually don’t. I don’t wear makeup, so that’s not a time issue. I chug a protein shake as I head back to the office and eat lunch at my desk while handling emails. 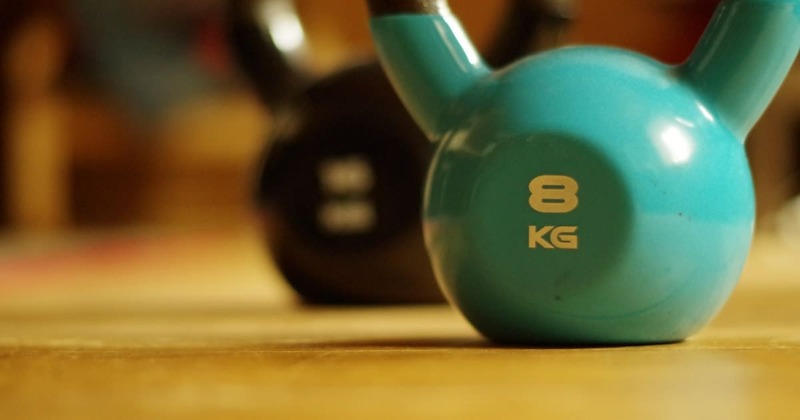 NB–the office gym is in our basement, which is a plus. Does anyone else have trouble figuring out dry shampoo? I’ve tried all different brands and my hair winds up still oily, completely matte, and with weird powdery grayish streaks (I have dark brown hair). I’ve sprayed then rubbed it in. Sprayed and let it dry. Sprayed less. Sprayed more. Sprayed before bed to get ahead of the oiliness. And I’ve always brushed, brushed, brushed. What am I doing wrong? Try spraying it, letting it set for five minutes, and then using a blowdryer on your roots. I can’t remember the brand I’m using now, but it’s working really well, and it’s a drugstore brand. Let me check when I get home and I’ll post. Have you tried Marc Anthonly 2nd day clear dry shampoo? I also have dark hair and this one has never left streaks in my hair. Schedule it! And, even better, find friends at work who love working out too and make it an appointment. I have a gym at work (one of the few perks of being a government employee) and I work out during lunch. I minimize clean up and I have a standing appointment 3 days a week to meet up with friends at work. We often do a dvd or sometimes walk. It’s not a sacred time: we often need to cancel. But it’s better than nothing and it keeps me going. I do find when I run a quick shower or wipe with baby wipes is fine. Alson plenty of brainstorming or impromptu meetings happen at the gym.